The Voice of Stobby: The Three to One Rule! 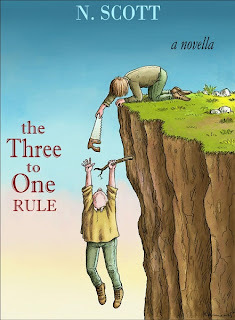 The Three to One Rule! …and would you say you are very, somewhat, somewhat not, not at all satisfied with the way your life turned out? Twenty-eight year old Zoe is in a rut. After three years of university and a failed relationship she finds herself single and doing telephone surveys for a living. That is until one day her coworker, Simon, comes up with an outlandish scheme to make money. With a crazy roommate, a man with one arm and the Three to One Rule, how could things go wrong? Suddenly their simple business venture takes a turn towards crazy town, Zoe must find a way to save herself before fate intervenes….or at least before Simon hangs himself with a headset. for access to all other formats, iPad and/or Nook and/or Sony Reader and/or Kobo and/or PC or for readers who would like to print it in PDF, plain text form. 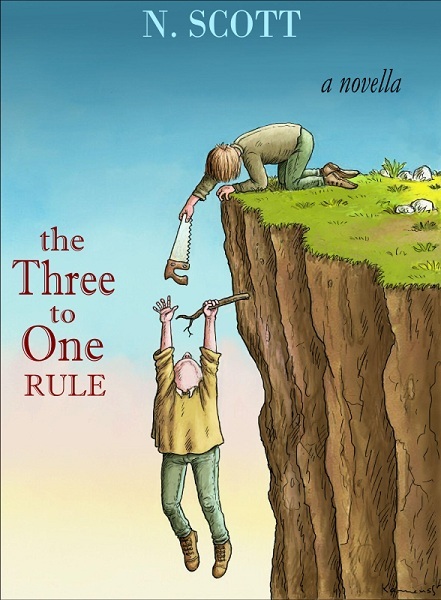 To purchase The Three to One Rule you must first create an account with Amazon or Smashwords. It's quick and easy and you'll have access to this awesome story in minutes!! !